Why do I write? I simply write because it relaxes me with my busy, busy schedule. When I am home, writing is my outlet and an escape from reality. I have a great friend, name Mike. He would watch TV as I am on my Apple laptop writing articles or a short story. He is totally awesome because it could be hours where we do not say a word and yet still enjoy each others company. Types of articles or short stories I love to write is God faith-based stories. Especially for children. I love children so much that I want them to learn more about God, Jesus and Mary. I want to give back to God by spreading his word. I feel that trying to reach children to know about God at a young age is important. The sooner the children hear the word God and apply God to their lives until death, I believe of the many of God’s blessings will be bestowed on them. Main reason why I like to write, is the fulfillment of God’s duty. 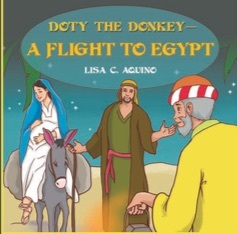 Writing God-based short stories for children I feel is my ministry in helping God. So that his little ones will know who he is. After all, it is in the Bible that each and every one of us are called to spread his word for those that love God. I feel by me doing this, I can honestly say I am doing my part. I just love writing for God!!! With millions and millions of authors in the world, there are so many different categories to write about. You know, novels that are suspenseful, horror, science fiction, romance, etc. As you can see, I write in the religious category. Because that is where my heart is. With the authors that do write, I have read some pretty awesome books other than religious. But I do have to admit, not that many. I can say that I do like to read books written by Sydney Sheldon. I remember reading one of his books years back and I could not put it down. If you like to write, do everything in your power in trying to get your writings published. I love to write for little children because all children are just so adorable to me. Since I do not have any biological children of my own, I decided to reach parents who do have children to read my book through publication. I will continually pray that one of my dreams of becoming a published author, I hope my story (and more in the future) will change or at least have an impact on children in a positive way of loving God. That would be just to awesome for me!!! That is all I have to say this week. More articles to come. God Bless with the greatest love!!! Hi Tim…Thank you so much!!! I do remember working with you at the supermarket many years ago while we were in high school…Take care…It was nice to hear from you.